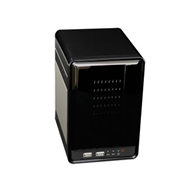 Network video recorder with 4 channels. High resolution board camera for kits and do-it-yourself (DIY) CCTV camera projects. The back box mount was designed to make maintenance and replacement easy. 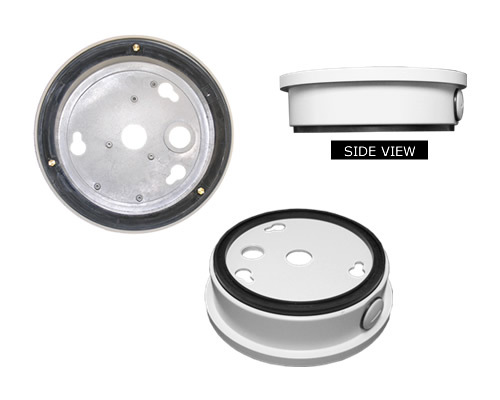 By attaching the ECL-557BB to the wall or ceiling or other flat surface, a dome camera can be mounted quickly, adjusted and replaced without repeatedly touching the mounting surface. It provides a strong mounting surface and protects the underlying architecture. A rubberized seal makes the back box waterproof. Power and video cables connect inside the box in a protected environment. This helps protect the wall/ceiling and cable connector hardware, cutting down on maintenance. Size and circumference is perfect for ECL-557 series dome cameras.